DIY Pulley Lamp | DIY projects for everyone! 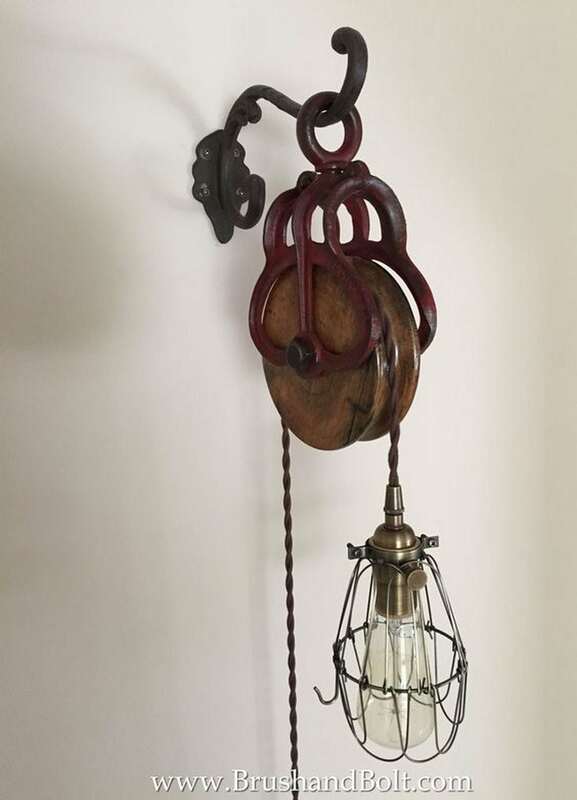 This vintage-style pulley lamp will add character to any room you put it in. I know quite a number of people who are into vintage stuff. When decorating their homes, they prefer vintage fixtures than new, modern ones. It’s the unique patina, they say, and vintage items bring a certain character that’s hard to explain. Making your own vintage lighting ensures that it’s safe and not a fire hazard. The challenge with vintage lighting is that you have to make sure about the wiring. You have to know this because European wiring, for example, is not compatible with US voltage. Or what if the wire is already brittle and dried out? This is a potential fire hazard. Instead of buying a vintage lighting fixture online, why not make your own? This DIY project will give you a nice pulley lamp, reminiscent of those found in farm houses. Come to think of it, this will look good in your room, too.